Although the state has been predominately anti-gambling in the past, citizens and legislators are excited about the possibilities of legal North Carolina sports betting. There is nothing better than watching your favorite team and winning some extra cash while in the process. Many residents bet on their favorite local teams daily, which a small part of why sports betting is a billion-dollar enterprise. For those wondering how options for doing so are possible without violating state laws, the answer is that wagering takes place on offshore online sportsbooks. A journey to a land-based sportsbook isn’t required for legal sports betting as these sites offer betting lines similar, if not better, than casinos and even offer promotions that will constantly keep you happy. 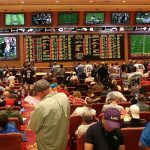 Gamblers are generally unaware of state and federal laws that have impacted the sports betting industry in the United States. Our goal is to ensure you are fully knowledgeable in this aspect and understand locations where you can legally and safely lay your money down. Once you become familiar with the locations on where to wager and gambling laws within the state, you will be ready to make informed decisions and get started without any fear of reprimand from law officials. Legal sports betting in North Carolina is easy to navigate, you just need to know which direction to go in. Is Land-Based Legal Sports Betting Possible In North Carolina? Land-based sports betting is not an option in North Carolina, even at its sole tribal casino – Harrah’s Cherokee Hotel and Casino. North Carolina General Statutes Article 37, 14-292 makes gambling punishable by law as a misdemeanor. Illegal gambling is defined as any kind betting or wagering (except for the state lottery) that goes on outside of approved native lands, so taking action on sports with a shady bookie or on a website hosted in the state is strictly off-limits. However, all that really means is that North Carolinians wishing to bet on sports can simply do so through sports gambling websites operating out of foreign countries where US law has no reach. These reputable sites are not breaking any non-existent state laws either. Betting online is legal for North Carolina residents, provided bettors don’t place their wagers at facilities located within the state lines or at websites hosted there. Fortunately, no federal or state law prohibits individuals from placing sports bets on the internet at sites that are licensed overseas. The good news for bettors is the websites that offer their services to US players include some of the biggest names in the industry like Bovada, SportsBetting, and BetOnline. Though the outlook for legal North Carolina sports betting isn’t so clear, the important thing to remember is that betting on sports or general gambling is not illegal for North Carolina residents so long as they use trusted betting websites located outside the US. It is generally understood that if something isn’t expressly illegal it can, therefore, be considered to be legal, but bettors should go the extra step to make sure they trust the websites they’ll be using to place bets online. Though there are not any offered sportsbooks within the state, North Carolina residents are not stuck without the ability to wager on their favorite team. Sports betting websites that are located offshore and are licensed by their home country as legal and safe to use. Operators such as Bovada, 5Dimes, SportsBetting, and BetOnline are four of the most reputable sites due to their high-security standards and enticing incentives like new member bonuses. Websites based overseas are going to be the best choice for sports betting online as trusted companies pay out on time and incredible customer service. No matter whether you live in Charlotte or Raleigh, or in a small town somewhere else in the state, there is nowhere inside the state-lines that you will able to engage in legal North Carolina sports betting. 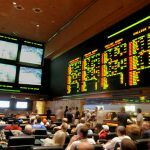 The Federal Wire Act also prohibits using communications equipment to bet on sports across state lines, so there is no option for calling in a wager to a New Jersey sportsbook, Nevada sportsbook, or Delaware sportsbook. If North Carolinians want to place a live, in-person bet on sports, they will have to go on a road trip. Delaware sportsbooks would be the closest location, of course, but the allure of Vegas, with its world-famous restaurants, shows, and resorts, may be too hard to pass up if bettors want to make a vacation of it. But the easier option for the bettor is to make sports wagers at offshore sports betting websites. These sites operate outside US jurisdiction, and they are completely safe and legal for use by anyone unless their state law expressly prohibits it. Fortunately, North Carolina isn’t one of those places. North Carolina, like most other US states, has several laws working against it when it comes to the expansion of legal sports betting. 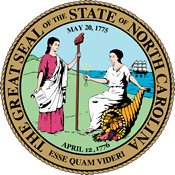 North Carolina General Statutes Subchapter XI, Article 37 § 14-292 details the state’s penalties against illegal gambling, which in most cases amounts to a Class 2 misdemeanor. The rest of the subsections in Article 37 go on to describe the other regulations and punishments for illegal gambling, and, regrettably, most everything from slots to sports betting is considered illegal except for lotteries lawfully conducted in North Carolina and other states and gambling at Indian casinos. However, federally, things are starting to look much better. It used to be that only Nevada, Delaware, Montana and Oregon were not subject to the Professional and Amateur Sports Protection Act of 1992, which banned betting on professional and collegiate sports nationwide. However, this law was successfully appealed in 2018 which granted the states their own rights to determine sports betting laws and regulations in their state. North Carolina legislators now have the ability to pass a bill to put together a council to study sports betting or enter into the industry all together as many other states have already. Tar Heel State bettors are also prevented from placing bets at Las Vegas-based gambling websites by the Federal Wire Act of 1961, which prohibits using communications networks for betting purposes across state lines. The Unlawful Internet Gambling Enforcement Act of 2006 makes it illegal for businesses to accept betting transactions from US players anyway but don’t let this stop you from using the offshore sites. Offshore gambling websites are not subject to US law and have been serving US bettors for years. Websites like Bovada, BetOnline, SportsBetting and 5Dimes are some of the most trusted and reliable gambling sites on the internet, and they offer a variety of bets on popular sports from basketball to auto racing – two sports North Carolinians, with their rich history of college hoops and NASCAR – love! North Carolina is unquestionably one of the nation’s basketball meccas, being home to the North Carolina Tar Heels – probably the most popular college hoops team in the entire region and one of the winningest in the whole country. The boys from Chapel Hill have a history few in the game can match. They’ve made it to March Madness every year except a few times since 1975 and they have multiple NCAA championships, over a half dozen Final Four appearances, two handfuls of trips to the Elite Eight and nearly a dozen trips to the Sweet Sixteen to their credit over the last decade or so. That kind of pedigree makes NC State a solid choice for anybody looking to wager some money on a solid season or even an individual game for daily fantasy sports purposes. If you’re a North Carolinian who, for whatever reason, isn’t a Tar Heels fan, fear not: you’ve got a ton of options when it comes to college teams to root for, including the Duke University Blue Devils, NC State Wolfpack, and the Appalachian State Mountaineers. In fact, North Carolina is home to more Division 1 NCAA athletic programs than any other state except Texas and California, so that means tons of choices for legal North Carolina sports betting. As for pro sports teams, North Carolina isn’t nearly the powerhouse that it is in the realm of collegiate athletics, though its teams always lurk on the periphery as dark horses worth watching. The Carolina Panthers have had some good and some bad season but bringing in Auburn alumnus Cam Newton as the quarterback has improved the fans’ attitudes and team culture. North Carolina’s basketball situation isn’t much better, given the tumultuous history of the Charlotte Hornets, who started as a successful expansion franchise in the middle of the state’s population boom in the late ‘80s. The Hornets bench was stacked back then, with players like Larry Johnson, Alonzo Mourning, and Mugsy Bogues, but the team parted ways before Charlotte could clinch an NBA title. Since then the team has bounced between Charlotte, New Orleans and, finally, back to Charlotte under the ownership of North Carolina native Michael Jordan. There are no legal sports betting allowed at horseracing tracks in North Carolina, so if pari-mutuel betting on the ponies is your preferred way to gamble, you will have to take a trip out of state. Fortunately, nearby Kentucky is full of racetracks, and not just the more prominent ones like Churchill Downs, the home of the world-renowned Kentucky Derby, at which you can legally bet on horse races. Simulcasts of races are also banned by state law, so you’ll be out of luck if the race you want to watch is not televised. Another option for legal North Carolina sports betting besides going out of state to bet on horse races is to use an offshore betting website. There are a number of high-quality horseracing betting website on the internet, and they are completely safe and legal to use for North Carolina residents. Some of the best places to go for horseracing betting are SportsBetting and 5Dimes, both of which offer a lot of choices for betting options and a secure software system to give North Carolinians confidence that their financial information is safe and that they’ll be paid on time. The legality of daily fantasy sports contests (DFS) in North Carolina is a topic that has seen a lot of action in recent years. Tar Heel State legislators stopped efforts to classify DFS as sports betting, which would have effectively outlawed daily fantasy in North Carolina. However, HB279 was defeated on the basis that DFS is largely seen as contests of skill, wherein players have to use their knowledge of statistical trends to pick high-performing athletes in their fantasy lineups. For now, DFS is legal for all North Carolina residents and is likely to remain this way. The DFS industry has used its exemption from the federal Unlawful Internet Gambling Enforcement Act of 2006 (UIGEA) as a defense in past regulatory disputes, so fantasy betting operators seem to have the upper hand. Can I Bet Real Money On Sports In North Carolina? North Carolina state law doesn’t make it illegal to place bets, only to run a sports betting operation. That means that so long as you aren’t the one accepting money for bets on sports, you aren’t in violation of the law for participating in what would otherwise be legal North Carolina sports betting. You can bet – and win – real money on sports if you live in North Carolina, but you will have to do so over the internet using betting websites not based in the US. There’s no need to worry, however, as these are some of the most secure and widely respected gambling websites on the internet, and many, like the Latvian-based Bovada, are custom tailored for the US market, offering all kinds of bets on popular US sports like football, basketball, and baseball, among others. The key to remember is that you shouldn’t place bets at a physical location in North Carolina or use an online bookmaker if the website is based in that state or you will be in violation of the law. Is Online Sports Betting Safe In North Carolina? You should have no reason to worry about your financial or legal security if you use a reputable overseas-based website like Bovada, BetOnline, FiveDimes or SportsBetting. These legal North Carolina sports gambling websites have been in the industry for years, and many of them offer betting options on popular US sports, so they definitely cater to and understand the intricacies of US law on the matter of legal sports betting. The main thing to consider that you do your research and find the sports betting website that you like the best and has the best promotional programs for you. Some websites offer as much as a 100 percent bonus just for signing up, while others reward you for your success picking winners, but just about all of them have something to offer. Will Sports Betting In North Carolina Ever Be Legal? Legal North Carolina sports betting could become a reality within a few years’ time but there is much work to be done after the successful appeal of the Professional and Amateur Sports Protection Act (PASPA). New Jersey brought the case to the Supreme Court and in 2018 SCOTUS determined that PASPA was against the states’ 10th amendment rights. The individual states are now able to create their own legislation to regulate sports betting including legality, the overseeing body, and a taxation system. Will I Get Arrested For Sports Betting In North Carolina? The short answer to this question is a resounding no. Thus far, no North Carolina citizen has ever been charged with a crime for betting on sports or any form of online gambling. North Carolina state law does not have any provision making the use of online casinos illegal either. The fact is, individual citizens placing bets are not the target of federal laws like the Wire Act of 1961 or the Unlawful Internet Gambling Enforcement Act of 2006 – operators of gambling websites or those actually taking the bets are. That means NC bettors should feel confident they will not be arrested, charged or go to jail for making bets on their favorite sports teams at legal North Carolina sports betting website like those we’ve talked about on this page. The nature of US law has made it so that American gamblers have to take their business to offshore websites, so bear in mind that this will impact the means by which you can expect to receive payment for any winnings. Most websites can only pay out via check through the mail, crypto transfer, or direct money transfer, though they can accept US credit card deposits. What Is the Legal North Carolina Sports Betting Age? Despite the fact that most legal North Carolina sports betting offshore websites, being based in Europe or the Caribbean, will accept bets from users aged 18 or older, North Carolina law will require that players be at least 21 before they can legally place a wager. Even though players would probably never be charged with a violation, as online gambling would necessarily take place on websites outside the jurisdiction of the US legal system, it is recommended that North Carolina players wait until they are 21 just to be safe. If you are subject to an underage gambling case, you will find yourself banned forever from the site and your winnings being confiscated. Are There Mobile Sports Betting Apps Available In North Carolina? Most of the legal North Carolina sports betting websites offer a mobile-accessible version of their site. Some of the top tier operators in the industry, like Bovada, offer mobile apps that enable users to place bets directly from their smartphone or tablet. Additionally, most sports betting websites’ apps are accessible via Apple’s iOS and Android software. This extra convenience makes it easier and safer than ever for North Carolina bettors to take advantage of the instant sports betting options available at the top online gambling websites. These mobile betting apps also have the ability to allow you to live bet on games and events. 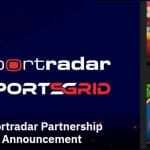 This is a major step forward in the industry as live betting lets you make a wager on a game after it has already started. Any situation can change the betting line – and it will happen fast – but payouts can be lucrative if you guess correctly at the right time. Where Is The Best Place To Bet On Sports In North Carolina? Unfortunately, there is no place to bet on sports inside the state lines of North Carolina. State law makes betting illegal in the state. In fact, if you’re a North Carolinian who wants to place a bet on the Tar Heels or the Blue Devils you’re going to have to take a trip to Pennsylvania, New Jersey, Delaware, or take a flight to Nevada – which was the only state that originally allowed and regulated all forms of sports betting. That’s a trip of thousands of miles away, so that option may not be the best one for you unless you want to enjoy Vegas’ world-class restaurants, resorts, and entertainment as well. Probably the better (and certainly less expensive) choice for legal North Carolina sports betting is to use a reputable offshore gambling website. Some of the best, like Bovada, SportsBetting, BetOnline and 5Dimes, offer a wide range of bets on popular sports for North Carolina players. The Tar Heel state is well-known for its love of basketball in particular, and these overseas websites are fully stocked with all the betting action hoops fans could ask for, all while being totally legal and safe. Should I Use A Local Bookie In North Carolina? Being that land-based sports betting is illegal and unregulated in North Carolina, any bookmaker operating in the state is going to be doing so illegally. All the best bookies in the sports betting industry make their own odds, so you can shop lines if you use offshore operators which will allow you to spend less money on certain wagers over time. This is especially true when one considers the completely legal North Carolina sports betting option of placing sports bets instantly using an offshore gambling website, which operates outside US jurisdiction. Do Any Casinos In North Carolina Have Sports Betting? North Carolina has six casinos, including, most prominently, Harrah’s Cherokee Casino and Harrah’s Cherokee Valley River Casino. 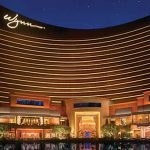 While these casinos have thousands of slots and gaming machines combined and 170 table games, as well as hotels, none of them have sports betting as an option. This was due to the legal prohibitions of the Professional and Amateur Sports Protection Act of 1992 (PASPA), which made betting on sports illegal in all but four states and North Carolina is not one of them. 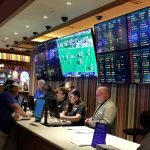 Even though this law was appealed, there haven’t been any regulations or law changes put in place by legislators to start the sportsbook industry. Tar Heel State bettors are advised to use offshore gambling websites if they want to place a wager on their favorite team, as this method is a safe and legal North Carolina sports betting option. Can I Bet On Sports With My Friends In North Carolina? North Carolinians are well-known for their love of basketball, particularly their highly successful and famous collegiate sports programs at the University of North Carolina and Duke University. Naturally, Tar Heel State hoops fans may want to place bets with their friends from time to time in order to see who can pick the outcome of the next game or match March Madness brackets. This is totally legal, provided bettors do their wagering on legal sports betting websites and not in-person, as even social gaming between friends is banned by North Carolina General Statutes in Chapter 14 – Article 37, Subchapter XI. It’s not possible to do any legal North Carolina sports gambling due to state laws like the ones listed above but offshore gambling websites like Bovada have mobile apps enabling users easily compare and share their betting information with friends. These internet-based options make it quicker and more secure to place sports bets legally.